Long before Donald Trump’s precision strikes against the “fake news” establishment and Google’s and Facebook’s swift, mesmerizing annexation of media revenue — digital conquerors marching toward their destiny — a journalist named Lincoln Steffens set the bar for what could be achieved. He was not trained as a journalist. Not like those still employed in our shrinking newsrooms. His use of words in written form, as a weapon or instrument, as American war correspondent Edward R. Murrow said of Winston Churchill, “to mobilize the English language, and send it into battle”, and his view of tough journalism were not inspired by a vocational program or some school of hard knocks. Steffens, who died in 1936, remains one of the most influential journalists in American history. After a degree from Berkely and more study of philosophy, ethics and science across France and Germany, the California son of a successful businessman set out to follow his father’s footsteps in New York, where he landed on his return from Europe, after studying in Parisian universities and British museums. He would not work as a businessman, but as an insider, observing how and why transactions and enterprise functioned so he could explain it to those in the outside world and force Wall Street to work for them. He had written essays and was already published in magazines. Academia, he thought, might be the best path. But circumstances changed. His father, in what Steffens believed was a test, cut him off. He was told to stay in New York instead of returning to California, given $100 and instructed to find his way in the practical world, after years as a wanderlust student. At 26, in 1892, he joined The Evening Post, one of the largest newspapers in the country, as a reporter. It was an unlikely fit. Steffens with his French suits and refined manners, sitting next to hard-scrabbled, gumshoe press men. After getting an early assignment to somehow find out what had happened to a missing partner at a Wall Street brokerage, Steffens began displaying a natural ability to get at the truth. The firm’s boss had originally rebuffed the young reporter, telling him nothing untoward had happened. But Steffens had an innate sense for detecting when something wasn’t right. He persisted, unrelentingly, until the man gave in and told the real story. Every cent had disappeared, along with the missing broker. In details the paper revelled in publishing, Steffens told the entire story. The exact amount missing, the culture of the firm and Wall Street and all the circumstances surrounding the renegade partner. He was paid weekly, like the other reporters, based on how many lines of his work appeared in the paper. In the beginning there were more failures than successes. His work, chasing transit and school officials, politicians and business leaders, either didn’t appear or was dramatically cut down into the digest-sized paragraph-stories that checkered the black and white broadsheet. It was a time of widespread corruption. Money leaked quietly from public accounts and was drained from other sources into the hands of robber barons. Local politicians propped up by industrialists pushed agreements that were bad for the public. But unlike other reporters, Steffens wanted much more than just the salacious parts of the story. He pressed to discover why departments weren’t serving the people, who was ultimately behind the corruption and what the broader impact on society was. A good judge uses facts to find his or her way to the truth. That’s also the purpose of good journalism, and it should infest the work produced. It often takes years, even decades to possess the instincts and skill, but it came to Steffens naturally, a by-product of his moral clarity about the world. He eventually joined McClure’s, the legendary magazine which featured sprawling profiles and riveting investigative journalism that influenced policy and changed legislation. It exposed the treatment of coalminers and revealed the dark side of the oil industry, which poured the fuel driving America’s dizzying achievements. Steffens became its managing editor. He was branded a “Muckraker”, feared by presidents and powerful private citizens, who lost sleep as Steffens’ influence grew. He became a good friend of Theodore Roosevelt, a young police commissioner bent on cleaning things up, and would later grow close with Woodrow Wilson, the reform-minded 28th president, who, largely because of Steffens’ relentless reporting on Wall Street’s reckless culture, created the Federal Reserve System to act as a guardrail against the follies of financiers. He exposed widespread corruption in Minneapolis, St. Louis, New York and other cities that had been controlled by delinquent interests. Steffens had no time for “gotcha” journalism or random exposés on baddies brought down by whistleblowers who usually had their own agenda. He was possessed by the work of holding those in power and our public institutions accountable to the people they are supposed to serve. By the early 20th century, more and more reformers were being elected across the country in all levels of government. Many thanked Steffens. His dogged journalism, with nothing more than a pencil and notepad in hand and his inability to relinquish his principles, revealed profound truths to people. He helped create a relationship between the public and journalism that was a radical departure. For more than a century, newspapers served the interest of one political party or another. They were drenched in opinion and their reporting only served the public in a way that suited the political aims of those who recognized the press’s ability to influence. Journalism was merely an instrument of power for those who wielded it. The pen and sword were no different, they were held by the same people. Steffens saw things differently. Only the journalist, he believed, should hold the pen, and he felt, when used the right way, from it flowed the force of a thousand swords. His observations and understanding of the world, which poured across table-sized newspaper pages and magazines for decades in a fierce deployment of journalism, that brought corrupt local politicians and entire municipal regimes to their knees, to the benefit of citizens, came from the burden of living an examined life. He seemed disinterested in money or power or the trappings of an increasingly material world. By his own account, Steffens never saw his disposition as a prison. In his autobiography, he wrote that values which continually shaped him set a long path he described as an adventure. He lived a “happy life” that only got “happier and happier”. The adventure only became more and more fascinating and fulfilling with each chapter. Journalists now represent a lost character in our modern society, champions of what? Without a winnable cause, the idea of defeat has set in for many. Newsrooms are hollowed out. Trump and Doug Ford are winning. They and many others in power use all sorts of platforms to turn the public against this new enemy. Ironically, those in the public best served by journalism’s ability to advocate for what ails them, income inequality, under-employment and a host of other alienating economic realities, are more and more indifferent toward the news media. They prefer the loud bromides of populist leaders who offer them immediate hope, as empty as that might be. Others prefer to be addled and entertained, not informed. Their lives are too busy and stressful. The journalism of Lincoln Steffens has been squeezed out by expanding information and entertainment platforms better equipped to deliver what people want. The money that once drove good journalism has followed the exodus. Or, it followed the money. There have been failed attempts by the print media to pivot, a sort of evolutionary biological survival instinct. Shorter stories, online clickbait to make up for failing print advertising revenue. Video, and other bells and whistles. More provocative stories. Blanket coverage of every trending story. Intense competition with other platforms in the market space. New platforms altogether, such as The Pointer, have even emerged, trying to find the secret recipe for success, amid all the chaos. Specialized content is being produced by new players, covering everything from sports to entertainment and in between. Advocacy journalism, focussed on important issues such as climate change, is finding new forms. This is all happening as traditional news outlets, especially those based in print, question how long they can continue. The current wayward state is filled with confusion especially for those journalists still trying conventional approaches despite modern realities, with the hastened expectations of a world moving faster than ever before as technologies outpace our ability to understand the shape of what they’re creating. It’s clear, watching a company like Facebook backtrack on what they’ve created, that even thought-leaders in innovative spaces also have little idea of what’s spilling forward. Of all the battered crafts, perhaps none have been reduced more greatly than the once proud and steadfast image of the journalist. From the intellectual fighter who protected with a pen, Superman’s alter ego who did double duty in his human form, just like Lincoln Steffens a century ago, the journalist has swallowed kryptonite, an unwittingly self-destructive act pushed by embedded cultural shortcomings that have long plagued the business. It has never been representative of the public, often failing to reflect, in attitude and experience, the daily lives of readers. Mainstream journalism has operated in a bubble. It still serves corporate and ideological interests, chasing money for survival and the respect of those in power willing to pay attention in a world awash with information. It has been too cozy with its foes, often unable to understand valid criticism of relationships that can distort the real picture of things. And then there are all its conventions. Old habits that die hard, keeping journalism mired in traditions that younger generations literally and figuratively have no time for. The profession has become almost hopeless in telling stories outside the places journalists, with similar backgrounds, reflexively pay attention to. Many of these dynamics were entrenched long before the current economic barriers to change began to emerge. In Canada, what many in the industry, those on the legacy side and the start-up side, want, is help. From you. The newspaper industry for the past couple years has lobbied the Liberal government to set aside money in the federal budget to help the struggling profession. In agreeing, the Liberals earlier this month committed $595 million in the federal budget over five years, for things such as a 25 percent tax credit on journalism salaries, up to a cap, a 15 percent tax credit for online subscribers and certain tax incentives for journalism in the non-profit sector. Only print-based news platforms that are not subject-matter specific (entertainment, sports, a special interest) can qualify. They have to employ at least two full-time journalists and qualifying businesses can not pursue journalism that furthers the goals of private or public sector entities. The majority of the public funding, almost $400 million, will go toward the salary tax credit and will cap the annual amount a company can receive at $13,750 per journalist who works at least 26 hours a week. It’s unclear if the number of journalists per outlet will be capped. If there is no cap on the number of qualifying journalists for the salary tax credit, a medium size organization with 40 staff will get $550,000 a year, and a large one employing 200 journalists (there are only a few of these left) will get $2.75 million annually, at least until 2024. If voters in this fall’s election want a different party to take control, the program could be scrapped immediately after. While the budget decision has drawn criticism and support within journalism circles, few beyond seem to be paying much attention. Some critics are concerned a disproportionate amount of the public’s money will go to large newspapers that have failed to adapt to changes in the industry and the expectations of many readers. A reasonable cap for the number of salary-based tax credits each company receives would mitigate some of the concern, but it will likely be impossible to force these companies to start responding to market realities they have failed to understand. Some criteria could be tied to the funding that would help organizations in broader terms: the need for larger outlets to better reflect readers, so all those paying for the subsidy would benefit from journalism that amplifies their concerns and interests; better geographic coverage of communities that have lost news coverage, as many larger organizations have, for a profit motive, abandoned many smaller news markets that now suffer with little accountability of those in power; denying funding for opinion-based journalism that erodes public trust and has little reporting value. A possible scenario is that public funds could go to organizations that will squander the effort to help them, as they continue doing journalism in ways that many readers reject. Some, however, may become viable in the long-term, with the help of public pressure by many helping fund this effort. But the reality is a lot of people who work in education or finance or the various technology fields and retail or healthcare and manufacturing and insurance and construction or real estate or transportation and logistics or the energy industry…basically those outside the small, shrinking journalism sphere, are oblivious to the industry’s stress. They have their own stress. Try telling an investment advisor whose role is about to become globally extinct because of algorithms that predict market behaviour with astonishing accuracy, that print journalists are about to get a $595 million hand-up from taxpayers just like her. But because the industry controls much of the flow of information, like bankers who justify making excessive amounts of money because they control the business of making money, journalists tend to project an outsized sense of societal concern about their work. The public is our host, and poor journalism doesn’t only mean a lack of work that’s being produced by fewer and fewer professionals. If a host doesn’t like what’s entering its world, like a body responding to a virus, it gets rejected. The public, ultimately, decides on value. It determines what’s needed and what’s not. More so than ever before. Each cancelled subscription is a reminder of that. 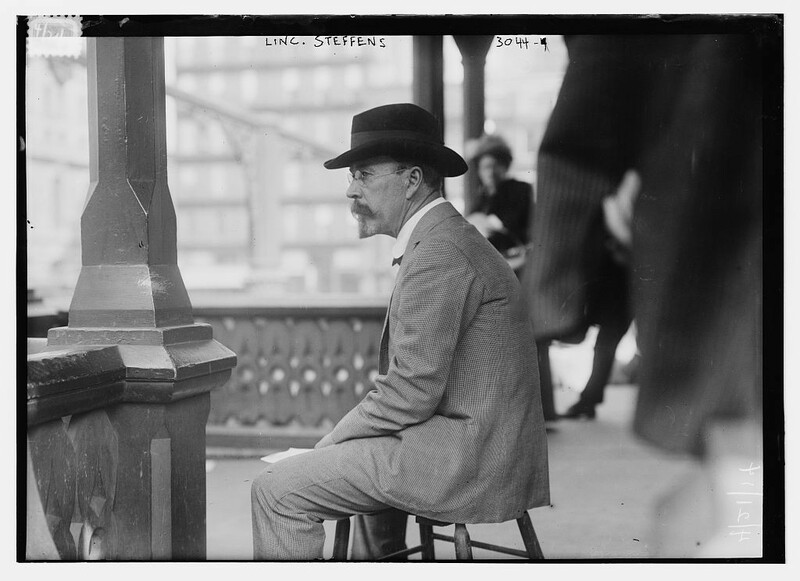 When journalism remains true to its principles of independence, fairness and equality, set down firmly by people like Lincoln Steffens, it can be the glue that binds a community and helps move it forward. Telling truths and protecting them from attack helps propel communities in the right direction. 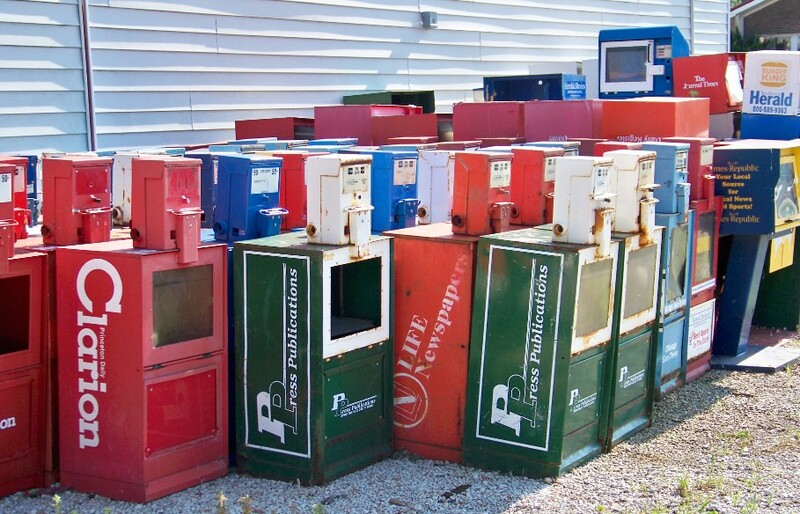 As many news organizations have been stripped down by lost business, more of those cities and towns that once proudly boasted world-class newspapers, now suffer from no coverage. There’s more and more information swirling, but less and less reporting that provides citizens with the tools to make important decisions about their day-to-day lives. She might have been turning the table. A profession that at its purest delivers what communities need to best serve their members, has for two decades instead obsessed over what they might want. It’s absolutely fundamental that the craft find creative, deeply compelling ways to do that, but in doing so, it can’t ignore the central purpose of the work, like a flagging health food store that starts serving vegetables battered and deep fried. For journalists, ignoring journalism will only continue to erode trust and hasten the industry’s demise. In the mid-‘90s, Craigslist and its followers began to wipe out classified advertising revenue. Shortly after, Google started gobbling up revenues from companies that line the spaces where marketers separate people from their money. And Facebook and its derivatives continue to create platforms for just about anybody who wants one. The era of newspapers setting the agenda for large, captive groups of readers is a distant memory. Those in their 30s barely remember it. Those in their 20s never knew it. Those in their teens and younger will completely explode the model. They will likely create something better than ever before. Ultimately, and unfortunately, a relatively small number of people will decide how the federal government will use public funds in the exercise of a public good that is being undertaken for noble reasons. This is a short-term approach. The future of journalism, in Canada and beyond, will rest with the people it serves. And, as it always should be, they will decide what fails and what succeeds.